AIADMK Legislators on 5th February 2017 elected party chief Sasikala Natarajan as its new legislative leader. Following the election, O Panneerselvam has resigned as Tamil Nadu CM, making way for Sasikala. At a meeting of party MLAs in Chennai, ex Chief Minister O Panneerselvam proposed the name of Sasikala as legislature party leader. 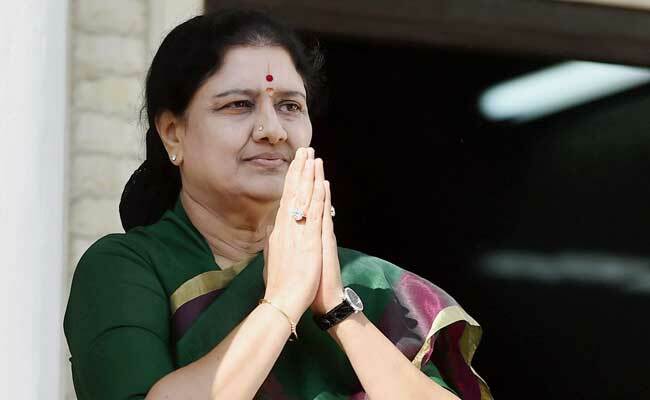 62-year-old Sasikala, also called 'chinnamma' and Jayalaithaa's shadow in public for nearly three decades, later drove to the party headquarters where she was greeted by Panneerselvam and senior party leaders. he decision comes a day after three top officials appointed by ex-CM Jayalalithaa were removed from Chief Minister’s office. Indian Express reported that three key faces, Sheela Balakrishnan, KN Venkataramanan, and A Ramalingam, are the other top officials removed from their respective posts. In her acceptance speech, Sasikala said that it was O. Panneerselvam who asked her to take the role of the Chief Minister. “It was Panneerselvam who had first persuaded me to become the Chief Minister and General Secretary as well when Jayalalithaa passed away. Whenever the party faced tough times and whenever there were difficulties in Amma becoming the Chief Minister, it was our dear brother Panneerselvam who has been loyal.” She also said that she will work for the people and will look to fulfill the dreams of Jayalalitha.